The Iridium Scholar program was launched in 2013. This is the Iridium Scholar program story as told by Tom Jones, President of Iridium Technology. In 2013 Iridium decided that we wanted to expand our “Giving Back” efforts. Our goal was to make a huge impact, and our key requirement was that we wanted to be directly involved in whatever efforts we were making rather than just writing a check to an existing organization. We started brainstorming for ideas, and after a lot of false starts we came up with the idea of a university scholarship for students whose families had no chance to cover the cost. 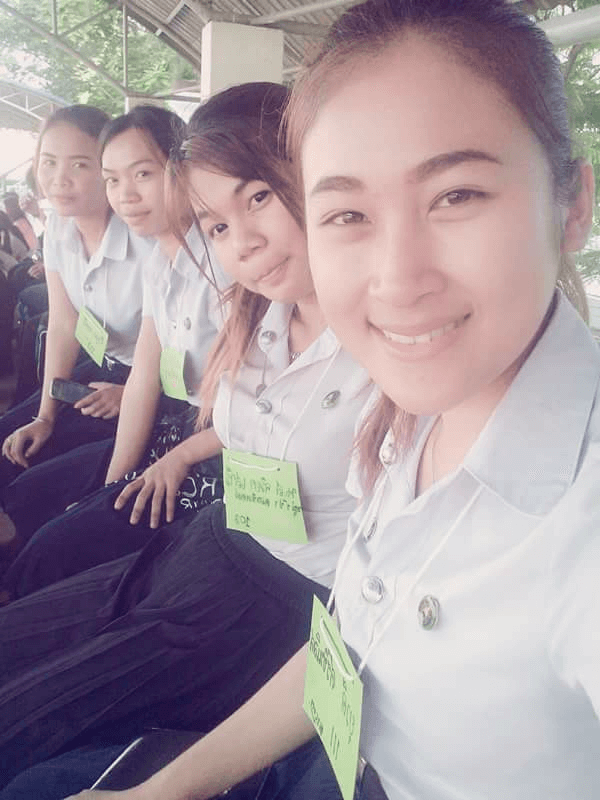 We decided to focus on Thailand, since that is where my wife Kanitta is from, and we thought that her connections there might make it easier to administer the program. Thailand is a wonderful country, but a lot of people there are impoverished with no real alternatives to improve their lives. Sending one deserving student to the university could literally lift up an entire family in the coming years. We refined the scholarship to focus on the areas of study that are the focus of Iridium’s business operations: computer science, accounting, and law. Now that we had defined our goal, you would think that finding our first Iridium Scholar should be pretty easy, right? It actually ended up taking about six weeks of searching and dozens of interviews, reviewing GPAs, learning about the applicants, etc. before we found Yuwadee (“Yu”) Srichinlers. How did we find her? Facebook! Kanitta kept broadcasting to her Facebook connections about our search for a student and our problems in locating someone suitable. She reconnected with a childhood friend who is now a high school teacher. Her friend has been Yu’s math teacher for several years, and was familiar with both Yu’s academic capabilities and her family story. Yu is a high school senior with a 3.87 GPA, great at math, and her dream is to be a lawyer. Her father earns subsistence wage working as a janitor and her mom cannot work due to health issues. 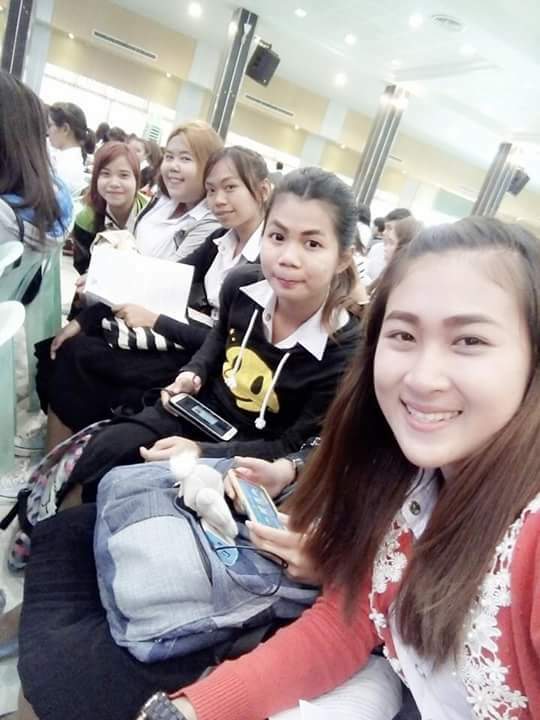 Her family does not have the financial means to pay for her to attend a university, and in Thailand they just don’t have the scholarship opportunities that are available in countries like US, UK, NZ, AUS, etc. Once we had interviewed Yu, we knew that we had a perfect match, so we selected her as our first Iridium Scholar. Yuwadee Srichinlers: the first Iridium Scholar! Send regular update emails about their progress. These emails will be in English. We are hoping to expand the program and select additional Iridium Scholars in coming years. 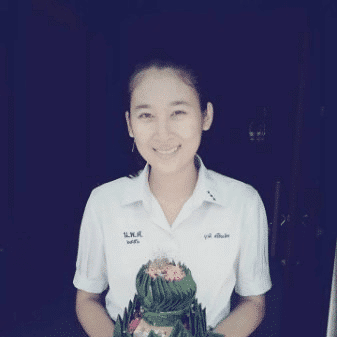 We offer our congratulations to Yu, and send her our best wishes for her upcoming studies. Update: August 2014 – First day at the University! Yu is ready for her first day at the university! Yuwadee (“Yu”) is in the progress of finishing up her sophomore year as a Business/Accounting major. She is taking a mix of accounting, business management, and computer courses. Most importantly, she is really excelling as a student and has a cumulative GPA of 3.55! Tom and Yu exchange emails on a weekly basis, with Tom’s wife Lek serving as the translator. (Let’s just say that Yu’s English language skills have not improved as quickly as she has made progress in accounting and computers…) Lek and Yu regularly chat on Facebook and we are closely connected with her progress. When Yu was selected as the first Iridium Scholar, we promised to pay for her entire university education as long as she kept her GPA over 3.4. She is keeping her side of the agreement, and we are keeping ours! We send her monthly deposits to cover her academic fees, apartment rent, utilities, books, special expenses, and even spending money. We keep her laptop running, cover her bus fares to go back and visit her family, purchase school uniforms, etc. We also give her a bonus for every “A”, and she can use that money any way that she chooses. Yu is doing a great job at the university, and we are pleased to see her excellent grades and work ethic. Yuwadee will be the first person in her family to earn a university degree. 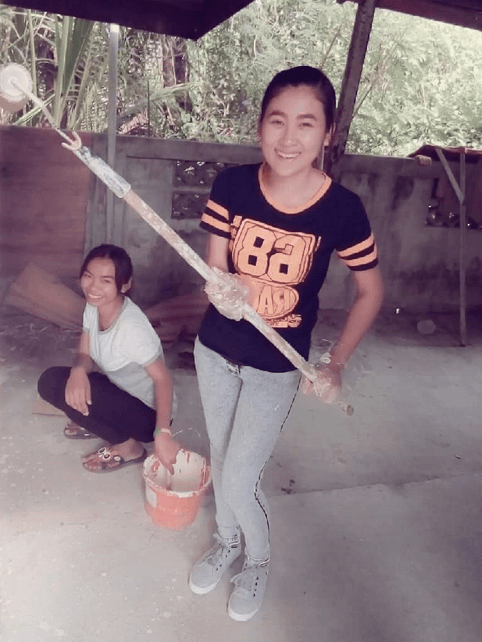 Thai families are incredibly close knit, and Yu’s employment opportunities as an Accountant will help to raise her entire family out of poverty. We are pleased to be able to sponsor her, and are committed to covering her expenses through graduation. First of all, apologies that I have taken so long to provide an update, since the emails about Yuwadee get some of our best open rates. I know that a lot of you are quite interested in her progress, and I always get a lot of extremely positive feedback on the Iridium Scholar program at any event that I attend. Yuwadee (“Yu”) has finished up her Junior year, and has just started classes for her Senior year. She is on track to graduate with a degree in Business/Accounting next Spring. She is taking a mix of accounting, business management, and computer courses. Most importantly, she is really excelling as a student and has a cumulative GPA of 3.44! Tom and Yu exchange emails on a weekly basis, with Tom’s wife Lek serving as the translator (Let’s just say that Yu’s English language skills have not improved as quickly as she has made progress in accounting and computers). Lek and Yu regularly chat on Facebook, so we are closely connected with her progress. One big change that we made last year was to move her out of the dorms and into her own apartment. She said that it would be a more productive environment for her, and we agreed. We made keeping the apartment contingent on maintaining her high grades, and we were glad to see that she did. She had some really tough computer/accounting classes in the last semester, but she still kept her cumulative GPA over 3.4. Since she earned it, we agreed to keep paying the extra costs to keep her in the apartment through her senior year. I have talked before about the difference between US and Thai universities. The US universities are highly flexible: you can choose elective classes, you can choose whether to go to your classes, you can decide if you want to wear flip-flops or sneakers to class, and you can determine if you want to participate in any extracurricular activities. 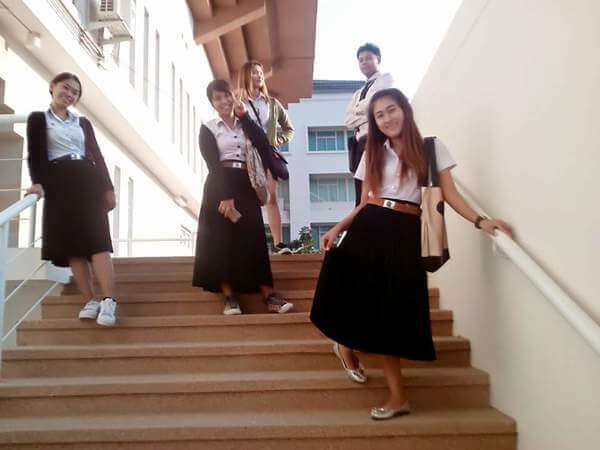 Yu’s (and my wife’s) experience at a Thai university is quite the opposite, and highly structured. Uniforms are required every day. Yu must attend all classes. There are no elective classes – all Accounting/Business majors will go through the identical curriculum in lockstep. Her senior year will continue in the lockstep style, but there will be several working intern positions with local businesses, and this will replace several classes. One of the internships will include being relocated to Bangkok for four weeks – that should be a big adventure! Since the students are all moving through the same class schedule together, Yu has formed many strong friendships. Yu is doing a great job at the university, and we are pleased to see her excellent grades and work ethic. Yuwadee will be the first person in her family to earn a university degree. Thai families are incredibly close knit, and Yu’s employment opportunities as an Accountant will help raise her entire family out of poverty. We are pleased to be able to sponsor her and are committed to covering her expenses through graduation.